The Alif Allah Aur Insan actress Ushna Shah has always proved that she is pretty much phenomenal at whatever she does. She has a quality of molding herself into any character and is currently busy conquering our entertainment industry. She has touched a million hearts already with her beauty and acting skills. On the other hand, the actress is also known for expressing her thoughts on social media and standing a stand for her. 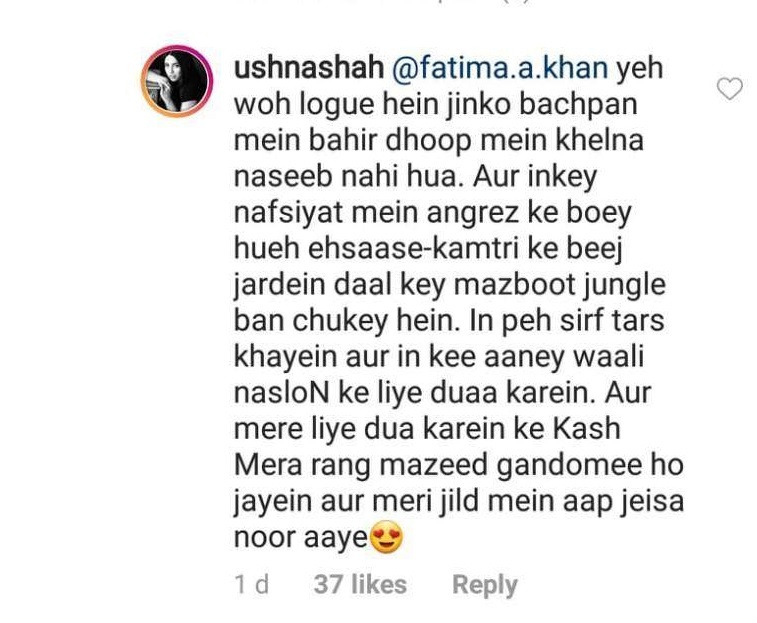 Recently, Ushna Shah was targeted by a troll who commented on her skin-tone and the actress schooled him like a pro. The troll later apologized to Ushna Shah and said that she is her favorite actress. Previous articleLaal Kabootar’s Trailer Will Keep You At The Edge Of Your Seat!